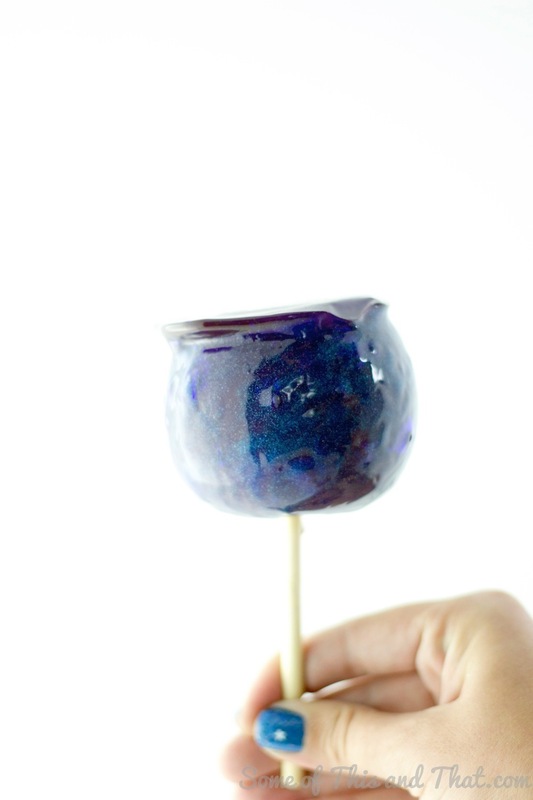 Galaxy Candy Apples | DIY Glitter Candy Apples with Edible Glitter! 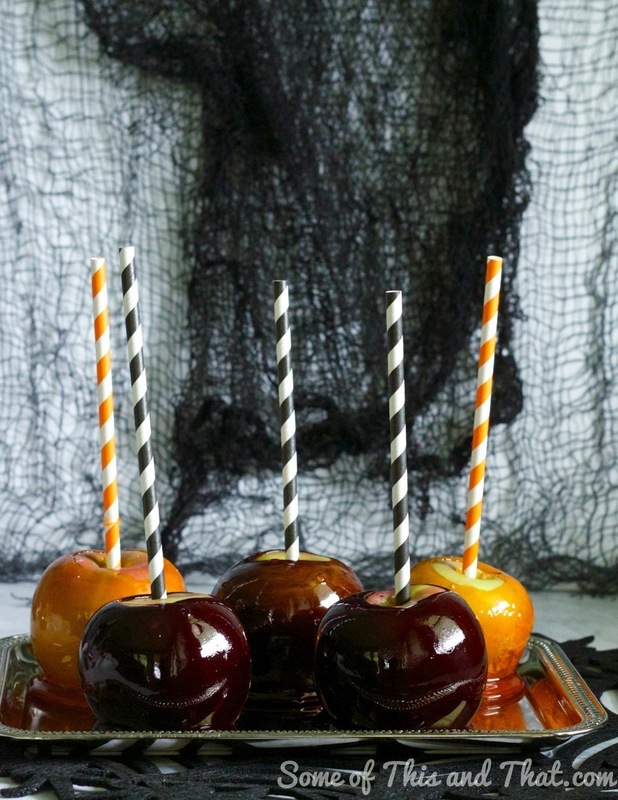 DIY Halloween Candy Apples! 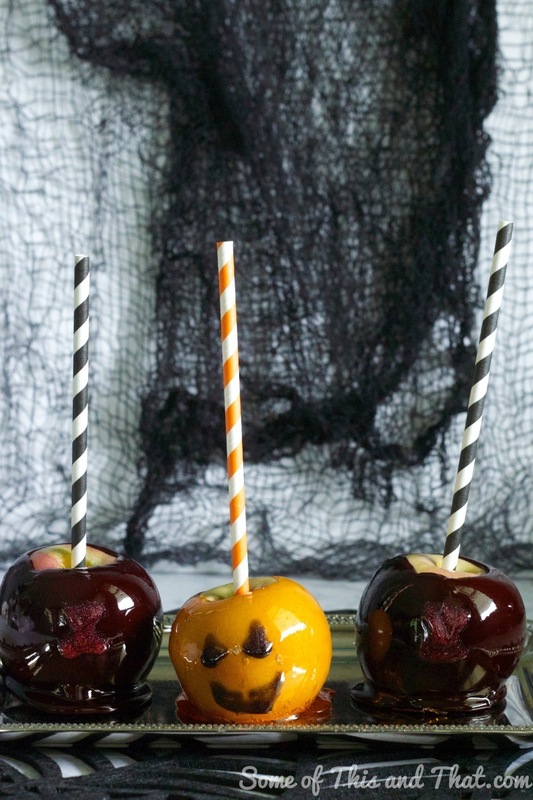 Black Widows and Pumpkins! One of my favorite things about Fall is all of the yummy apples that appear on my trees outside that are ripe for the picking. 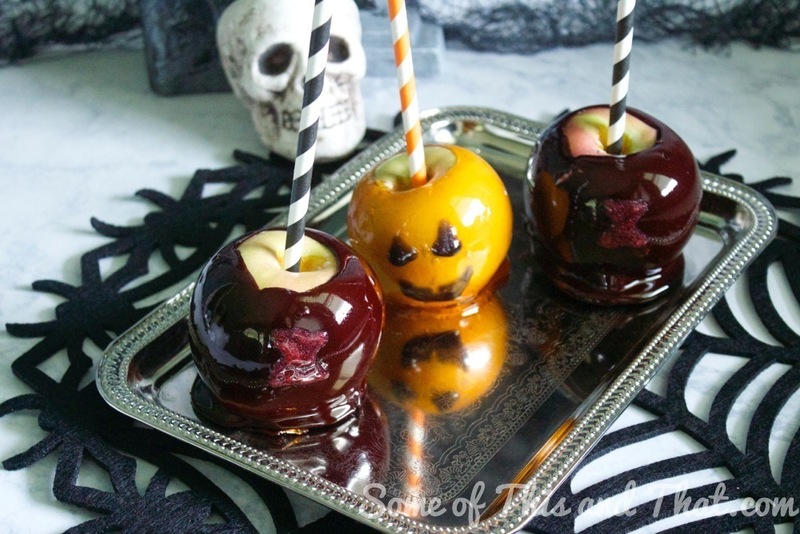 What better than to make some DIY Halloween Candy Apples with them! 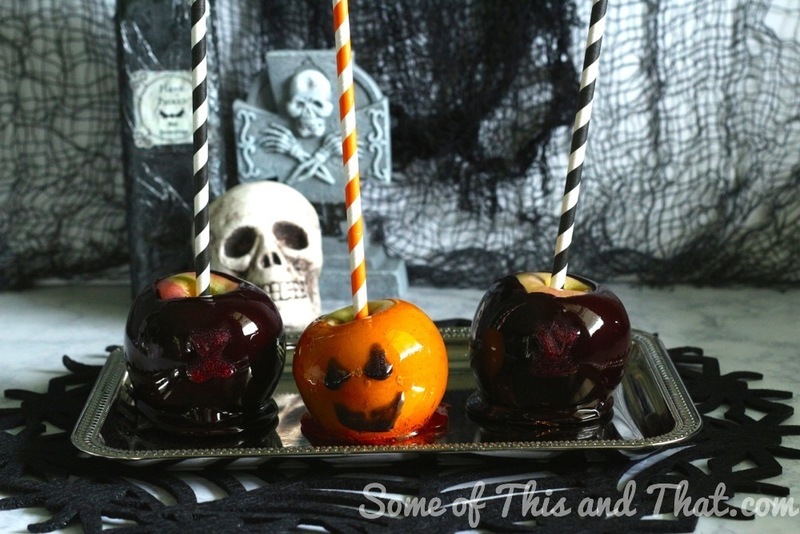 With a basic candy apple recipe and some food coloring, there are a ton of ways to decorate them! The kiddos decided that they wanted pumpkins and black widows, so that is what we did! 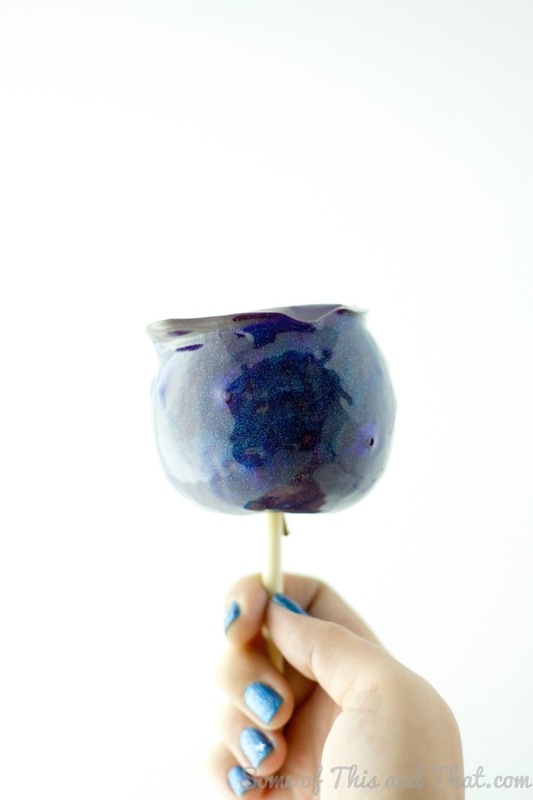 If you are doing this project with the kiddos though, let them do the decorating after the coating has hardened, not the dipping as the sugar coating is extremely HOT! As always, if you decide to try out any of our Halloween How – To’s be sure to post and tag us on Instagram, Facebook and Twitter! We love seeing your projects! If you are not already, be sure to subscribe to our YouTube channel! We do things there that are not always posted on the blog! See Video below for the complete how to! Liked this? Check out these!